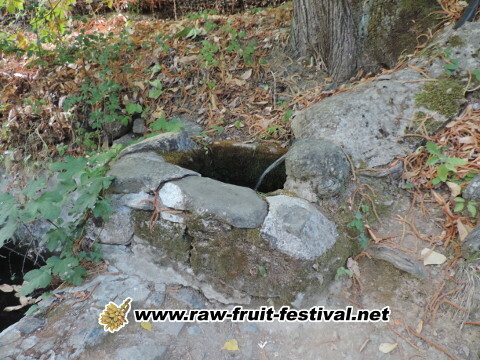 From the start in 2012, the Raw Fruit Festival has been designed as a waste free event! Not only the fruits come from local farms, but they come to the Raw Fruit Festival in either cardboard boxes recycled or reused, or reusable plastic crates (usually we bring empty crates to the producers in exchange of the ones with the fruits, to avoid a second trip just to bring back empty crates...). 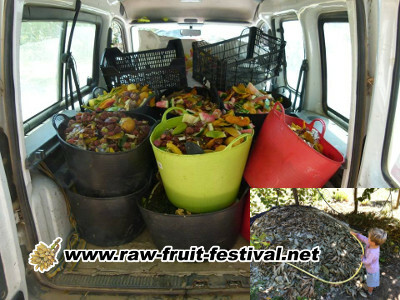 So food packaging does not exist at the Raw Fruit Festival, there are only reusable boxes that do not get trashed. And food scraps are not wasted of course, every day we gather them and bring them to the organizers farm to be composted! At the end, a large compost pile that get used on the farm! 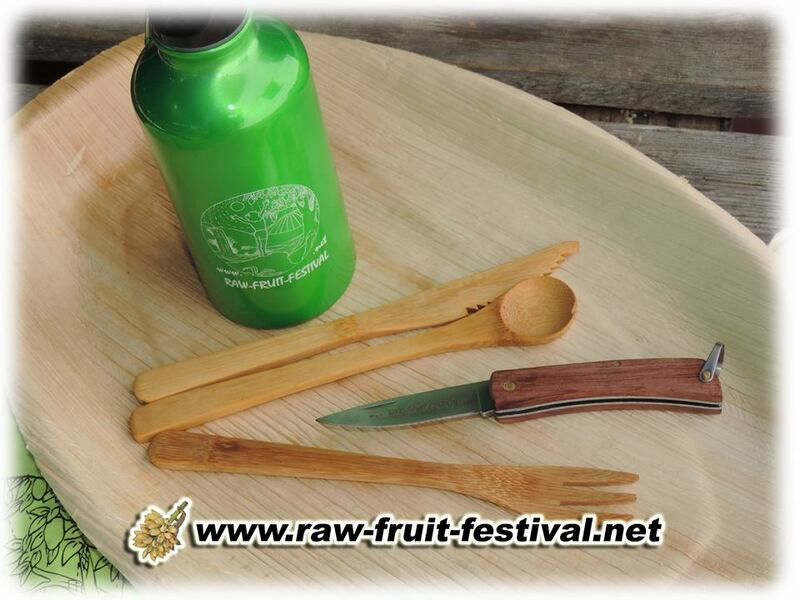 For eating utensils, the Raw Fruit Festival choose to use palm leaves plates, bamboo fork and spoons, and compostables cups (from 2016 the cups will be made of sugarcane fibers), and an individual bottle for water to reduce the need of cups. 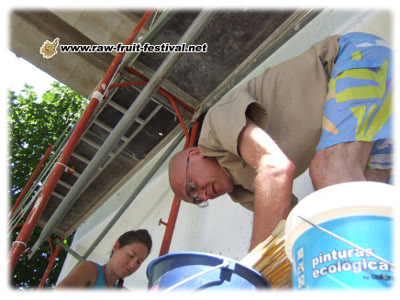 All those utensils, can be reused by the participants outside of the Raw Fruit Festival, and (apart from the bottle) they can all be composted if needed. Other examples: the domes are mode from tree trimming leftovers, and the covers are retired parachutes! We also have a solar station for charging cellphones and tablets. Water is precious and delicate, this is why during the paintings under the bridge, the large murals, we use only ecological paints (mineral based paint and not plastic based), as well as natural varnishes to protect the finished mural from the rain. We are glad to propose a Festival that doesn’t leave a mess behind as this is so often the case, but on the other end, a clean space and compost for the soil!